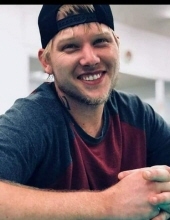 Edwin Algernon "Buck" Long V, 32, of Plymouth died Thursday, April 4, 2019 in Plymouth. Born April 8, 1986 in Washington County he was the son of Edwin Algernon "Buster Jr." Long IV and Becky Sawyer Long who survive and was preceded in death by his grandparents, Racheal Barnes and Dennis Sawyer. Buck worked as a plumber for Long's Plumbing and attended Plymouth Church of God. His family includes his parents, Edwin Algernon "Buster Jr." Long IV and Becky Sawyer Long of Plymouth, N.C.; sister, Brandy Long Respass and husband Clay of Roper, N.C.; grandparents, Doris and Edwin "Buster" Long III of Plymouth, N.C.; nephews, Clayton Respass and Bentley Respass of Roper, N.C. along with many aunts, uncles and cousins. Memorial service will be held Tuesday, April 9, 2019 at 11:00 a.m. at Plymouth Church of God with Pastor Jeff Person and Reverend Edwin Long III officiating. Family will receive friends at the church following the service and other times at the residence of his parents. Family requests that you dress casual. "Email Address" would like to share the life celebration of Edwin Algernon Long V. Click on the "link" to go to share a favorite memory or leave a condolence message for the family.